Sold by JEMACHE Direct Seller and sent from Amazon Fulfillment. Sennheiser's new SPORTS headsets are the perfect fusion of sound, performance and ergonomic design for people with a passion for sport. The models in the new SPORTS line have been created based on specially commissioned university studies to research the impact and challenges of extreme movement on sound, comfort and fit. 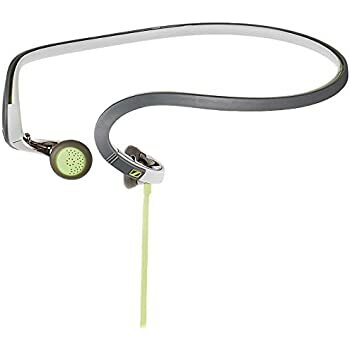 Utilising high tech materials carefully selected to maintain comfort, water resistance, durability and hygiene, the SPORTS headsets deliver excellent energizing sound with significantly reduced structure borne noise. All models include an integrated smartphone remote and microphone that allows for the easy control of volume, tracks and calls when exercising; letting you focus on achieving your personal best performance each and every time. Sennheiser's OCX 686G has been created to energize your music experience while you concentrate on your sets and reps. 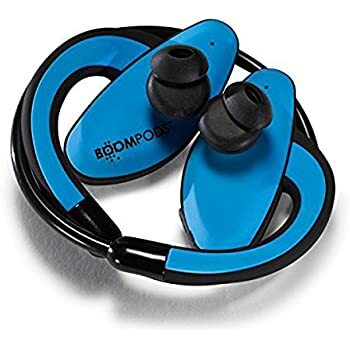 The high-output drivers deliver amazing sound quality, and the innovative ear-canal coupling and cable routing work together to help reduce unwanted background noise to a minimum, so you'll be able to enjoy your favourite music at the gym without distractions. 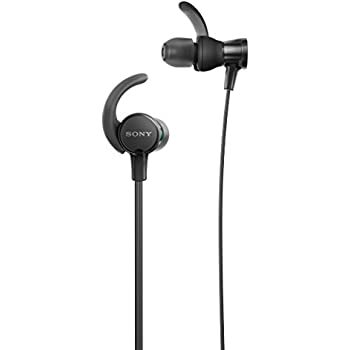 Furthermore, its lightweight, ergonomic design ensures that the OCX 686G sits comfortably, and the ear hooks provide extra hold to give you maximum freedom of movement during your workout. 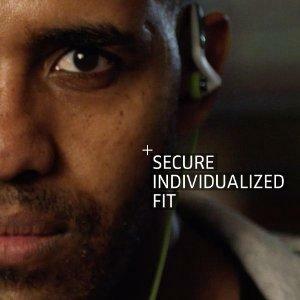 Sennheiser's OCX 686G: Best fit for your fitness routine! Sennheiser is on the pursuit of perfect sound. This is the aim and ambition of every single person working here. The quest focuses us on the dreams and needs of their customers all around the globe. Through their products and ideas, they give them a distinct sound experience or help them to create pristine sound for their audiences. Sennheiser has done this for 70 years and they are not ready to stop. Because they have a vision: To shape the future of audio, based on their history, culture of technology and passion for quality. 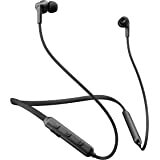 The OCX 686G Sports headset showcases Sennheiser's design and sound quality. It’s compatible with Samsung Galaxy devices and most other Android devices. 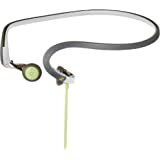 Crafted featuring moisture-resistant materials and fitted with SteriTouch anti-bacterial ear adapters, this ergonomic ear clip design provides secure fit and wearing comfort. Did you know? This is Sennheiser’s fifth generation of sports headphones, updated to include the very latest developments in materials and technology. 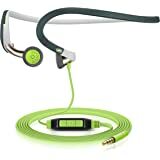 Sennheiser recommends this headphone for individuals who are just as enthusiastic about music as their workouts. 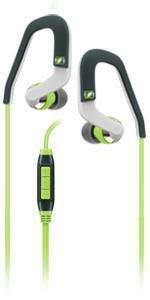 These earphones won’t fall out while delivering good sound quality with music and call control during your workout. 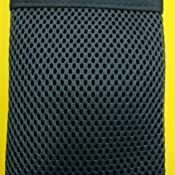 Helps block ambient noise and improve bass response to improve musical enjoyment. 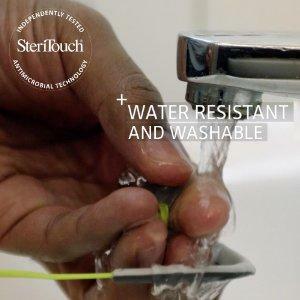 Anti-bacterial ensuring hygienic qualities over a lifetime of use and washes. 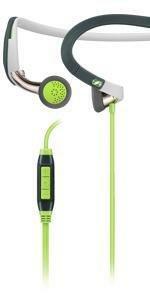 Provides a secure fit helping these ear phones stay in place during your workout. Strong and durable providing long term reliability. 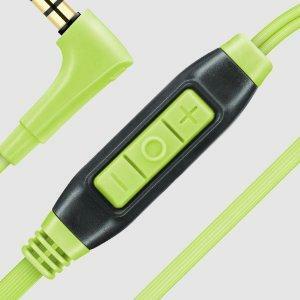 Reduces cable noise and resists tangling for an improved listening experience. 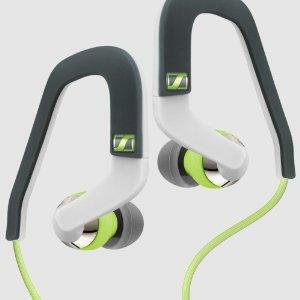 These are awesome headphones. 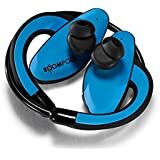 I've used them for a few years and bought my wife a pair without hesitation. 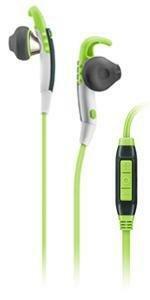 Great sound, no wind noise, really comfortable on long runs. The remote can tug a little at one ear even with the clip attached, but I think you have to compromise somewhere with wires. 2 year guarantee is brilliant. 1.0 out of 5 starsVery poor fit and sound quality. 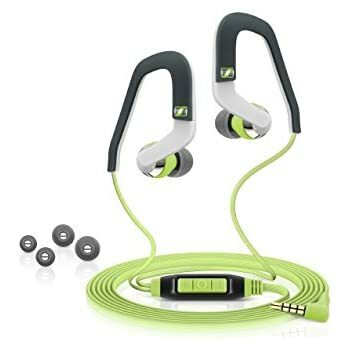 I have had several pairs of Sennheiser headphones for the gym in the past and looked forward to receiving these, which came with generally good reviews. Would like to return to Amazon but foolishly threw away packaging in my excitement. I will be consigning to a cupboard and buying an alternative (not from Amazon). And just incase you are wondering, I have never written a one star review before despite buying hundreds of items from Amazon. 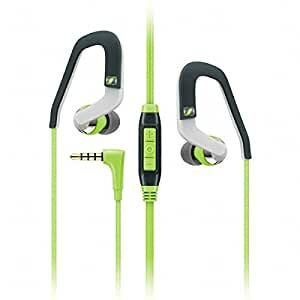 The sound quality is as you'd expect from Sennheiser, the volume controls are very well designed and waterproof, the grey over earpieces are made of a flexible plastic, whilst the white part is made of a hard plastic. 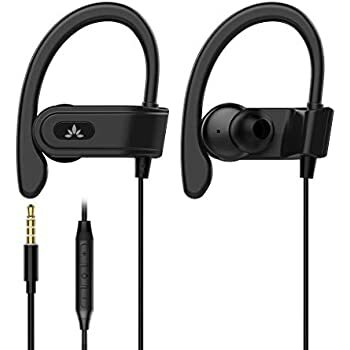 These earphones are ideal for anyone who partakes in gym activities such as running cycling etc... the earbuds stay in your ear no matter what activity you are doing. The only problem I have with these headphones is the link between the white and grey bits on the earpiece is very breakable. Whilst I was out running I fell over onto the side of my head and not only did I give myself concussion but the left earpiece broke as well. Thankfully it was nothing a little superglue couldn't fix. update 27 June 2018 - the headphones have finally broken, audio won't come out the left ear, I have to say I'm pretty disappointed considering I've only had these since February. They have been pushed to the limits tho, they've been through a washing machine cycle, I've fallen in a lake while mountain biking and I always run with them on. 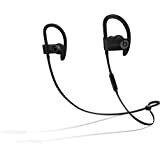 To be brutally honest I expected more form a £30+ pair of senhisers, I'd reccomend for daily use, but not for sports except from gym or weights. I rarely review but these have disappointed me that much that I had to post something. I have used sennheiser head phones before and have never been disappointed until now. Sound quality is ok, if a little low. 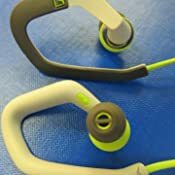 The main issue is around the fitting of the headphones. No matter on what buds I use, they just don't sit very well. The headphones have not fallen out when worn but they don't close the sound off and just sit loosely around the ear. I won't keep these for long.. such a disappointment. 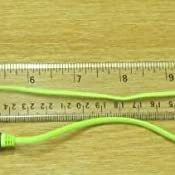 3.5mm jack is straight, not right-angled. This resulted in my first pair failing after a year. I would have rather had the right angled jack. Small eartips fit me well, they are quite secure in my ears when running/lifting weights/chin-ups. 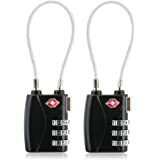 2nd pair is now failing at the jack plug after 7 months of use. Very disappointed in Sennheiser's decision to use a straight plug instead of a 90° plug. 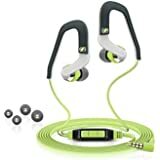 I took up running last year and bought a pair of Sennheiser headphones In July when they were suggested as a good headphone to use when running and cheaper than other ones. 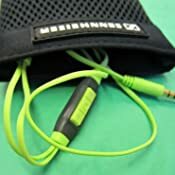 After a bad experience with these Sennheiser 684i, which stopped working completely after 3 weeks I ran with my Apple headphones for the rest of the year. 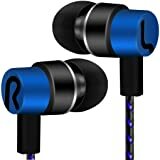 I received some money for Christmas and decided to go for these headphones... big mistake. I started running with these on 10th January and the right hand side would always fall out, I found myself constantly, pushing it in well I was running, the right also sounded like it had a loose contact, with the sound drifting in and out. 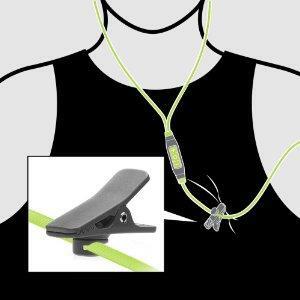 When cold I would run with a hat on and this would help keep the earphones in place. However, I ran with them again yesterday and the sound was the same with the left headphone. I was literally 0.5km into a 10km and had to stop to take them off and put them in my pocket, I couldn't bare it. Such poor quality and my second bad experience with this brand. I never got a refund for the first pair but did from Amazon for the second so I will be investing in quality products in future. Although, even my free Apple ones work fine when running and fall out less than this rubbish. 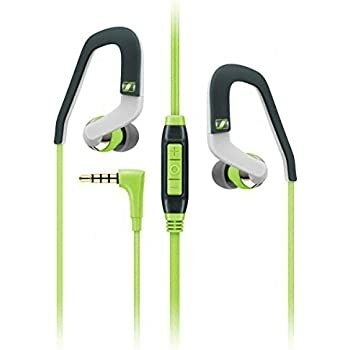 This is the second time I've purchased these earphones, the left hand one lost about 10% volume level after just under two years & then the right hand stopped working completely once I'd had them just over three years, hence buying this set. 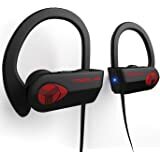 The sound quality & isolation is very good, there is no active noise cancelling but the isolation you get from them even in a noisy gym right by the speakers is great, very impressed - hence buying them again. 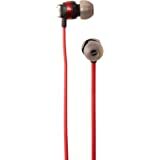 This earphones does not have mega bass or similar like this at all, but it fit well in my ears and do its job. 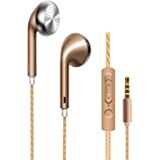 Worth the money and it's better that any other earphones here in same price. 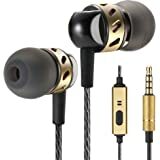 If you are looking for earphones with good bass, you need to spend much more money. I like this one and it was a good choice. 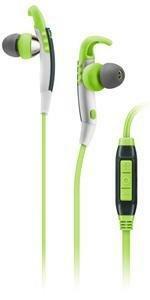 What I found the earphones has a bit sponge put into the each ear channel which I think decrease the sound quality. 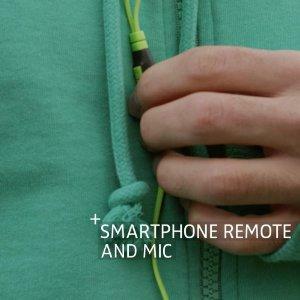 If you remove that sponge you will increase the earphones sound quality but also increase voice power so be carefull Also you will do it on you responsibility. I removed it any eaphones sounds much better for me than before.